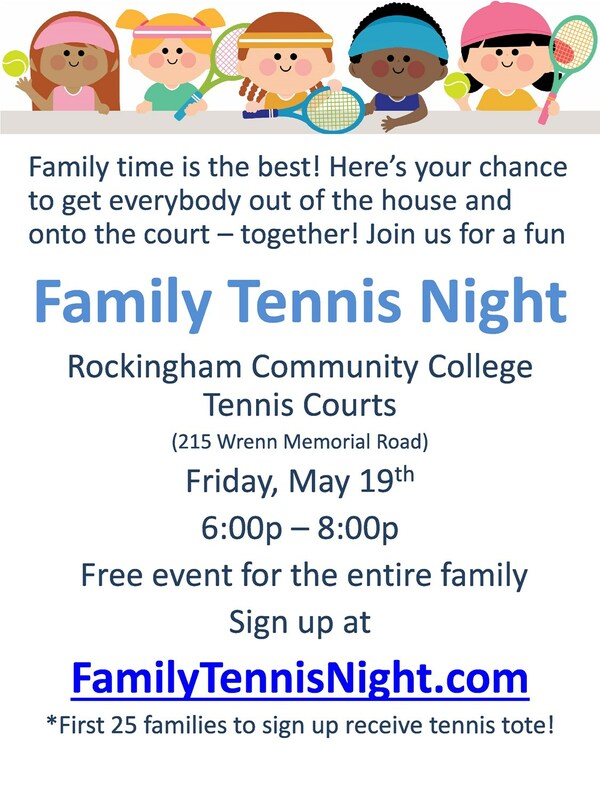 Rockingham County is one of only 15 locations acrross the South for "Family Night on the Courts" to introduce tennis to families that have never played before. Bring your family to the courts to see just how much fun tennis can be. The first 25 familes to register at www.familytennisnight.com will receive a free gift bag full of tennis goodies. Food, fun, fitness - tennis is a sport for a lifetime.